Lenders to Jet Airways are preparing to pick a substantial stake and restructure the debt of the cash-strapped airline as a forensic audit has not shown any adverse findings, it is learnt. State Bank of India (SBI), which leads the consortium of lenders, had last month appointed consulting firm EY to carry out a forensic audit of the airline's accounts following complaints of fund diversion. Banks have now initiated steps for a resolution of the stressed asset in accordance with the Reserve Bank of India (RBI) norms, sources said. A decision is expected as early as this week with the next meeting between the airline and lenders scheduled for Wednesday in Mumbai. In anticipation, the airline's stock surged 16 per cent to close at Rs 294.40 on the BSE on Monday. Sources indicated that founder chairman Naresh Goyal would have to step down from the Jet board, but he may still retain a role in the company as chairman emeritus. His son Nivaan, who’s an executive in Jet, may be inducted into the board. "Banks have not detected any diversion of funds lent to Jet Airways so far. As a part of the resolution plan, Goyal may be asked to step down. Banks are willing to buy stakes in the airline and give additional funding to the airline if it agrees with the terms and conditions put forth by the lenders," said a senior bank executive. 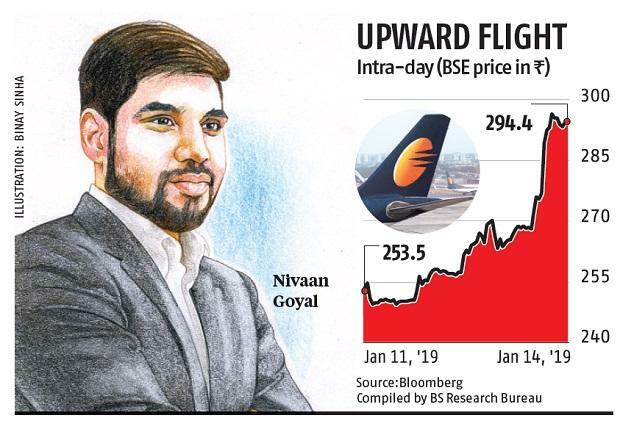 However, any fund infusion and debt restructuring will depend on Jet raising funds from its promoters and other investors. 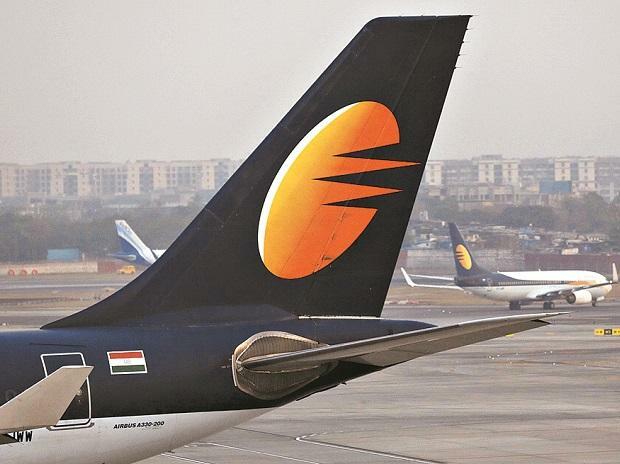 According to media reports, Jet's strategic partner Etihad has agreed to increase its stake in the airline from 24 to 49 per cent, resulting in dilution of Goyal's stake. As promoter, Goyal holds 51 per cent in Jet. Increasing stake beyond 25 per cent could trigger an open offer. According to the Securities and Exchange Board of India (Sebi) regulations, a "competent authority" is empowered to issue waivers in relation to an open offer. The Directorate General of Civil Aviation (DGCA) had in fact granted Ajay Singh a waiver when he had assumed control of SpiceJet in 2015. Officials of Jet and the civil aviation ministry said no application had been made so far for a waiver of an open offer. Jet did not respond to queries. Etihad said it did not comment on rumours and speculation. The current guidelines stipulate that airlines need to structure transactions in such a way that ownership and effective control remain with Indians. Also, foreign airline ownership in an Indian carrier cannot exceed 49 per cent. Jet has a loan repayment of Rs 1,700 crore due by March end. This includes $150 million (around Rs 1,050 crore) loan raised from various banks in West Asia in 2014. Etihad is a guarantor to the loan and Jet is seeking a deferred payment for the loan. If not, Etihad may have to make the payment on its behalf. The airline has struggled to pay salaries and vendors on time and its Rs 10,963 crore fund and non-fund based facilities have now been assigned 'D' rating by ICRA. This is the seventh rating downgrade since March 2017. Loan instruments which are in default or those expected to be default soon are assigned 'D' rating.